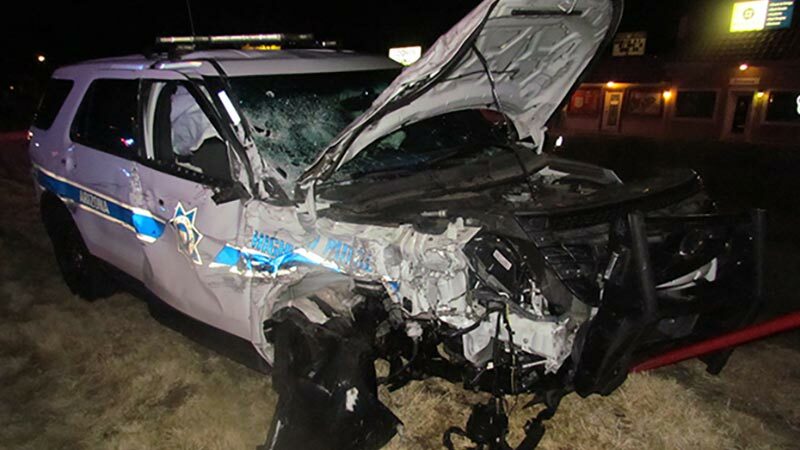 Prescott Valley, Arizona—An Arizona DPS trooper was injured late Sunday when his police vehicle was struck an alleged impaired driver. According to accident investigators with the Prescott Valley Police Department, the unidentified trooper was northbound on SR-69 when a pickup truck driven by Jarrett Tixier entered the highway directly in front of him. YCSO and DPS officers already were searching for the Tixier's pickup truck after multiple peopel reported a suspected impaired driver. The DUI investigation revealed that Tixier was under the influence of ilegal drugs. He was charged with driving under the influence of drugs, three counts of endangerment, aggravated assault and felony criminal Damage. One of the endangerment counts involves the officer who was injured in the collision. The other two relate to witnesses who reported Tixier's reckless driving and reported that he nearly struck their vehicles. We wish the DPS trooper a speedy and complete recovery from his injuries.